In order to offer high-quality lenses at reasonable prices, the Compact Series uses the same optics as our IR-corrected 400-1000nm series. 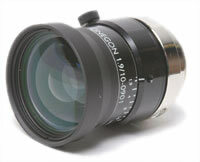 Thus, the optical performance of these lenses is perfectly suited to meet the requirements for the 1/3, 1/2, and 2/3 inch image formats. By reducing some mechanical parts in the design, the price of the Compact Series is considerably below that of the 400-1000nm series. 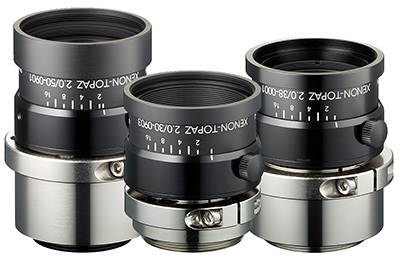 All Schneider Optics 2/3 inch Near IR (NIR) lenses are optically corrected from visible to near infrared light. 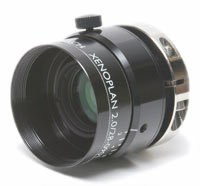 The 5MP APO-Xenoplan lenses, including the 1.4/23mm and the 1.8/35mm. Optically corrected and broadband coated for the spectral range of 400-1000nm(VIS+NIR) on megapixel cameras. 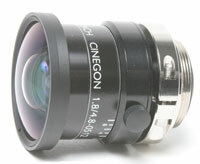 For larger sized, megapixel sensors up to a diagonal of 16mm, broadband coated and may be used in the visible (VIS) or near infrared (NIR) ranges. 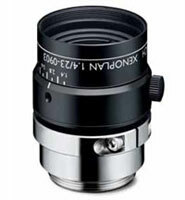 authorized distributor of Schneider Optics.